The underside of an owl's foot is covered with a rough, knobby surface that helps grip prey or a perch. 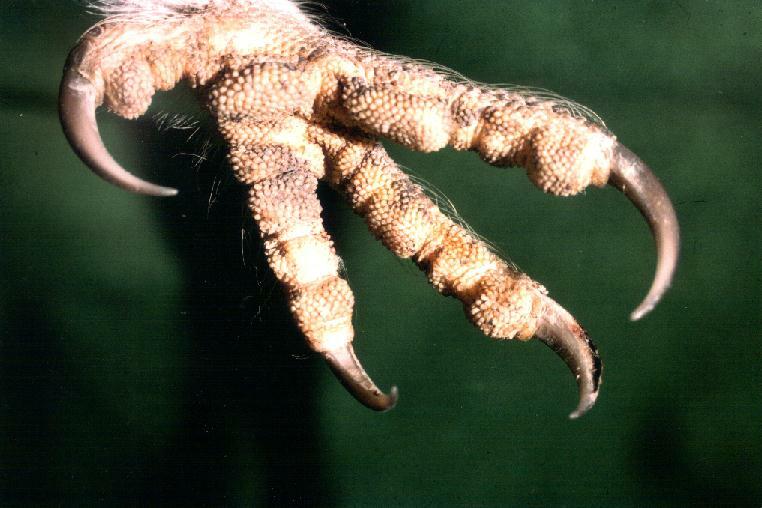 Barn Owls have a serration on the underside of their middle toe which may help grip prey and also aids grooming. Image © Alan Sieradzki.